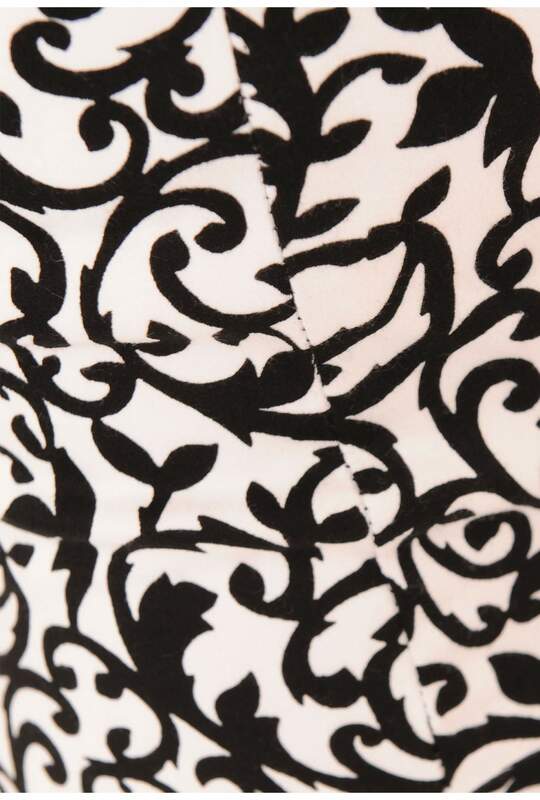 High waist Motel bodycon mini skirt in white with a Black and White Baroque print. With mini skirt styling in a thick stretch rayon fabric for the perfectly flattering high waist fit, edgy exposed silver chunky zip fastening at the back. 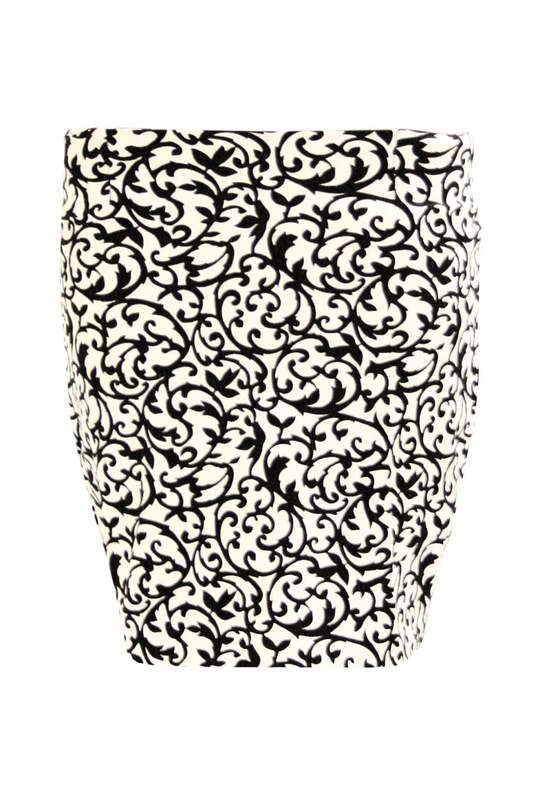 Team this monochrome print skirt with a loose sheer skirt, chain bag and statement sunnies for a super-hot look.